Due to the inclement weather conditions last weekend, only 2 of the scheduled games in the Credit Union Co. Senior Hurling League Division 1 went ahead. Results were: Kilmoyley 3 - 13 Ballyheigue 1 - 9; Lixnaw 2 - 14 Abbeydorney 0 - 19. Friday, 22 March -Abbeydorney v St. Brendan’s. Check with clubs for details of the other fixtures - Ballyduff v Crotta O’Neill’s; Lixnaw v Ballyheigue and Causeway v Kilmoyley. The 2019 Todd Nolan inter county hurling tournament will take place on this Saturday, 23 March. Teams competing will be the Kerry Under 17 hurling team and Under 16 Development squads from Limerick, Cork & Tipperary. Semi-Finals (12 noon) - Kerry U-17 v Limerick U-16 at Dromakee; Cork U-16 v Tipperary U-16 at Abbeydorney. Finals (2:00pm) - Cup Final at Dromakee: Shield Final at Abbeydorney. This tournament, which commenced in 2008, commemorates the former Kerry and Crotta O’Neill’s hurler, Todd Nolan – winner of a Railway Cup hurling medal with Munster in 1969 and a Co. Senior Championship medal with Crotta in 1968. The Co. Under 16 Hurling League Division 2 will commence on this Sunday, 24 March. Tralee Parnell’s v South Kerry; Crotta v Abbeydorney; Lixnaw v Kilmoyley. All games at 12 noon, first named team at home. Division 1 has just 4 teams competing and will commence on Sunday, 31 March when Kenmare/Kilgarvan host St. Brendan’s and Ballyheigue are at home to Ballyduff. The draws for the 2019 North Kerry Hurling Championships were made during the week by Brendan O'Neill on behalf of the sponsors Rhyno Quality Feeds. St. Brendan's v Ballyheigue; Ballyduff, the current champions, play Kilmoyley; Abbeydorney v Lixnaw and Crotta meet Causeway. Games are to be played on Friday, 6 September. The draw was also made for the North Kerry Intermediate Hurling Championship. Preliminary Round - St. Brendan's v Lady's Walk. Quarter Finals - Ballyheigue v Causeway; Kilmoyley v Crotta; Tralee Parnell’s [making their debut in this competition] v winners of St. Brendan's/ Lady's Walk and Abbeydorney v Lixnaw. 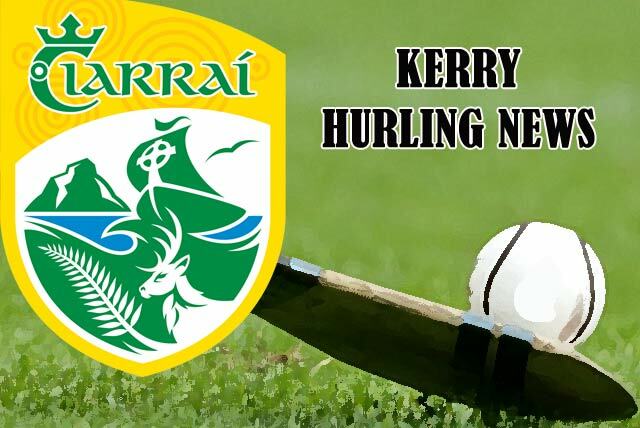 The North Kerry Intermediate Hurling Championship will commence on Friday, 10 May. North Kerry Under 21 Hurling Championship draw [Paddy Kelly Cup] - Crotta v Abbeydorney; Lixnaw v Ballyduff; Kilmoyley v Causeway; Tralee Parnell’s v St. Brendan's. This competition is scheduled for the weekend of 31 August.